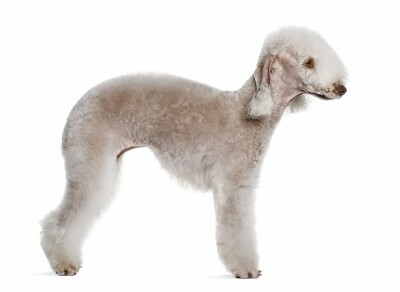 Bedlington Terrier: True Terrier in a Lamb's Suit! 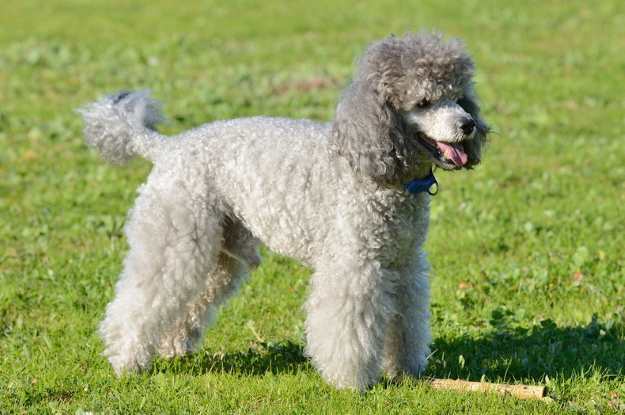 If you think the Bedlington Terrier looks like a lamb or even a poodle, you are not alone. The fluffy wooly coat, long legs, button eyes, and thin head make them seem lamb-like, but they are very terrier through and through. Being bred originally in Northumberland’s Rothbury Forest (in Northern England), to catch rabbits and pursue foxes and badgers, these dogs are highly active and athletic. They inherited their great speed, agility and keen eyesight from the whippets from which they were descended. Today they are not used much for hunting, so these little dogs have moved into our homes as many former hunting dogs have to enjoy a companion status with their humans. Even though they make excellent family pets, they are still very rare in the United States and even in their native England. They are extremely active, so a good hour of exercise daily is needed to keep them happy. Their coat, often referred to as “linty,” needs regular attention. Since they do not shed, they require frequent grooming to keep their hair manageable. But, their sweet, happy temperament will win you over. They are somewhat calmer than some terriers such as the Jack Russell, but even though they don’t appear like your typical terrier, don’t be fooled by looks. They generally do well with other household pets, but their strong prey drive makes it difficult to raise them around other smaller pocket pets such as hamsters, gerbils or mice. If socialized and trained early to curtail their somewhat stubborn nature, they make excellent pets, good with families, children, singles and couples. As long as they get adequate exercise, they will do well in urban, suburban and rural settings. They do not shed, so they would be a good choice for someone with allergies. The name Terrier comes from the Latin Terra, meaning earth. Dogs in the Terrier Group were originally bred to be used for hunting vermin. 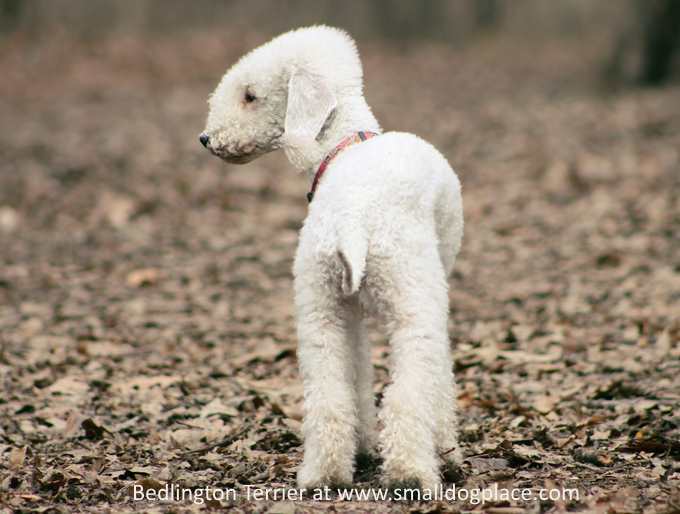 The Bedlington terrier can trace its origins back to the 1800s in northern England. Their true origins still seem a mystery. It has been suggested that they were first used by gypsies and poachers to catch game on the land of the gentry. Other accounts maintain that many people of different backgrounds owned them and not just gypsies. Lord Rothbury from the town of Bedlington, in Northumberland, England showed great interest in the breed and at first, they were one of many different terriers called Rothbury’s Terriers. There is some debate as to which breeds were used to create these dogs. Some suggest that Otterhounds were crossed with Dandie Dinmont terriers to produce the distinctive coat. 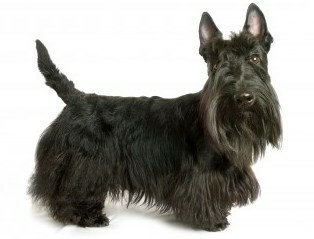 Others believe the rough coated Scotch terrier was involved. The Whippet and Soft Coated Wheaten Terrier also seem like plausible additions to the mixture. The breed’s characteristic arched back hints at the Whippet which also was probably added for speed and agility. The Bedlington’s strength and endurance may have come from the Otterhound. A poodle may have been thrown in the mix for its coat and others suggest that the Bull terrier gave them their liveliness. Record keeping was scant at best, so no one knows for sure just what breeds created the Bedlington. 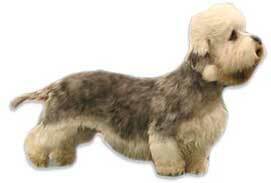 Joseph Ainsley of Bedlington owned the first dog we now call the Bedlington terrier. This dog was an amazing hunter, beginning at the age of eight months and continuing long into old age. A breed association was formed in 1877 in the UK. In 1886 the first Bedlington terrier was entered into AKC’s stud book. 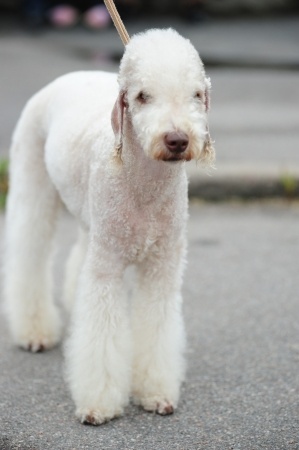 According to the Bedlington Terrier Club, the breed was most popular in the 1960‘s. Today, they rank 137 out of 177 with the American Kennel Club. These dogs are loving, sensitive, mild-mannered and intelligent. People who own these dogs say they are inquisitive and affectionate, and true extroverts. They love people, both adults and children thriving on attention from their favorite humans. They are fast and agile and may take off unexpectedly to chase a squirrel or other interesting rodent. If outdoors, they should remain on a leash or within the confines of a fenced area. Their natural hunting abilities include keen sight, scent and retrieving. If you are interested in dog sports, Bedlingtons do well in agility and Rally. They are easy to train and housebreak. They do, however, have a stubborn streak similar to other terriers and need to be socialized early with people and other dogs. The best owners for these dogs are confident, provide a structured environment and use a positive approach to training. They are not known for being barkers, but will alert you if someone comes to your door, making them excellent watchdogs. For them to look their best, a daily brushing and combing will keep them mat free. If this is not possible, a once over several times a week is advised. Their hair continues to grow so they need to be clipped approximately every six to eight weeks, either at home or at a professional groomers. They have a distinct haircut and style and if you plan to do this yourself at home you will need a variety of tools including a clipper, clipper blades, scissors, greyhound combs, pin brushes and other items such as nail clippers, tweezers or hemostats, and ear powder. 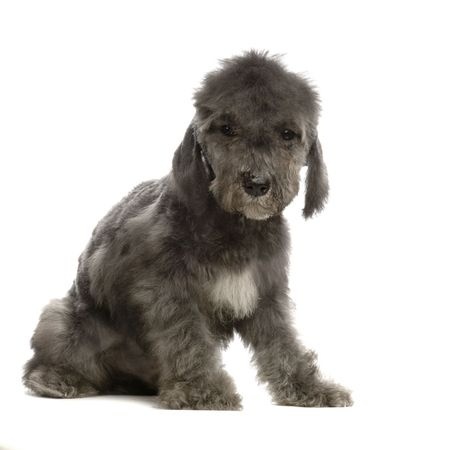 If you have never clipped a Bedlington, you should ask your breeder or professional groomer to show you how to do it properly. They will need to be bathed every three weeks and finished with a blow dry. Rubbing their hair with a towel may cause mats to form, so blotting is the preferred method. The hair in their ears continues to grow, so it needs to be removed periodically using a little ear powder and tweezers or your fingers. Trim their nails every few weeks and brush their teeth daily if possible. 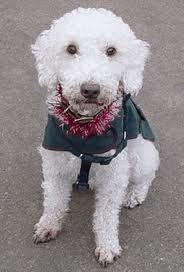 The Bedlington terrier is a healthy breed living on average of 12 to 15 years of age. There is really only one main inherited disease, called Copper Toxicosis that has been observed with some frequency. This is a condition where the dog cannot utilize and store copper properly, resulting in liver disease and other problems. There is DNA testing that can be done on breeding dogs to eliminate this problem, so if you are interested in a puppy, be sure to ask to see certificates clearing their breeding dogs. Other inherited diseases are present in this breed, just as they are in all dog breeds. Tests can be done on some but not all the canine inherited conditions. Here are a couple suggestions for further reading. Check them out on Amazon. If you purchase directly through the links below, this site receives a tiny commission. Every little bit helps to keep this site up and growing and we appreciate you!